Our facility is the largest paintball complex in the mid-south, offering seven action-packed outdoor courses and an airball course. 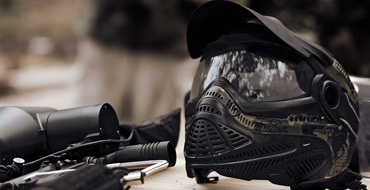 Birthday Parties, Church Groups, Corporate Outings, or Private Groups have GREAT FUN at the Paintball Park of Memphis. 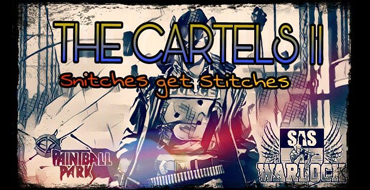 The Cartels II : Snitches Get Stitches - Paintball Scenario Game is happening on July 28th. Click here to register to play in the event. Welcome to the Paintball Park of Memphis! We look forward to providing you with an unforgettable paintball experience! The Paintball Park of Memphis has seven action-packed outdoor fields, spread across more than 15 acres of varying terrain. Our fields are themed with features such as an old west town, ravines, suspension bridges, wooden bunkers, stationary vehicles, etc. For more advanced players and teams, we offer a tournament-style airball field and arena. 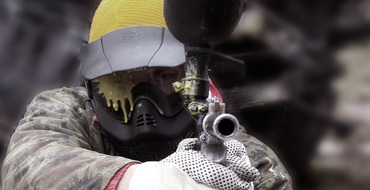 The Paintball Park of Memphis caters to players of all ages and experience levels. Book your birthday party, church activity, corporate outing, or any other private group in advance and enjoy private matches with your own referee. Walk-On players, both individual or groups, are also welcome and they'll be added to the "Open Group", led and officiated by one of our excellent staff members. We hope to see you soon at the Paintball Park of Memphis!. Local team, 901 Misfits, take home 1st place in D4 XBall at the AXBL Event in Athens, AL. Park Owner, David Zorn, and Park Manager, Andrew Zorn, joined their Farside brethren to win the 2018 Fight Club 10-Man Mechanical Tournament at Badlandz in Chicago, IL.